As I write, the weather is far from Spring like but when I think of the many and varied projects KCRP is involved in on both Medway Valley and SwaleRail lines, the “sunshine” more or less breaks through. Currently we are working with older students rather than junior schools and our Sheppey College project continues to gather pace. As well as attracting greater interest we are also getting extra finance thanks to Swale Borough Council. This project is one for long term and I can see both students and the community gaining great benefits from it. On the Medway Valley Line we are working with Five Acre Wood, a special school, who have a satellite provision at Holmesdale College in Snodland working with the students on travel training, preparing them for transfer to College and developing an area outside the front of the station. The announcement of the new franchise holder has been delayed from December and whilst it is said that the new franchisee will be starting end June/early July we await to hear just who it will be and when it will be– will we get a third line and how will our funding look? Sadly, that is for another Chairman to sit down and work through because after three very fruitful and enjoyable years as far as I am concerned, I have decided to step down. I would like to thank everyone for their help to me – Therese, Andy, Helen and Sarah as well as the very many volunteers without whom this Community Rail Partnership would be bereft. Thank you. 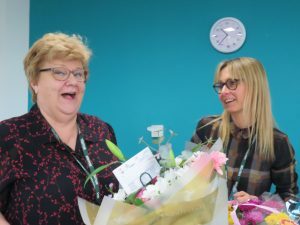 On behalf of Kent CRP, we would like to express our gratitude to Sue for all the fantastic work and time she has committed to the Kent Community Rail Partnership over the last three years. As well as giving up her free time to drive the things forward during our meetings, Sue has always been the first to volunteer her and her husband’s support to help out at our events. We are extremely grateful for Sue’s contribution and her expertise, enthusiasm and sense of humour will be missed. We wish you well in all your plans for the future and will always welcome you back if Mrs.Christmas would like to take a train ride in December. 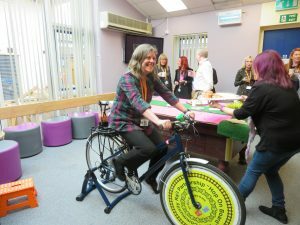 On April 3rd 2019, Kent CRP hosted a Smoothie Bike pop-up for staff at Sheppey College during their development day to help raise the profile of cycling to stations and taking your bike on the train. Students from Sheppey College have been working extremely hard this year working on our joint project with the IT, Business and Construction departments. During Community Week at the beginning of April, Students have been busy carrying out customer surveys at the stations along the SwaleRail Line. They have also been designing posters which will soon be displayed at stations and the construction department are busy creating wooden frames, bug houses and nesting boxes. The tilers are also in the process of making a mosaic for Swale Station. Meanwhile, the IT department have been creating a website and a social media site to capture all the student’s great work. They have also created their own Pop Art style around the theme of the railway. Sixth form students from Five Acre Wood (Holmesdale) visited Snodland Station in March to help measure the area at the front of the station to help calculate the materials and costings required for improving the area. Students will be busy developing the area after the Easter Holidays. Congratulations to Chris Fribbins who has been successfully elected as the new Chairman for Kent Community Rail Partnership. For the last few years Chris has been Vice Chair for the Kent CRP and actively involved on the committee with his involvement both on the Steering Group and on the Medway Valley Line. Chris has in fact been involved in the Kent CRP since before the Medway Valley Line CRP was formed and it met in Sittingbourne, managing SWALERAIL on behalf of the Rail Passenger Committee for Southern England. When the Rail Passenger Committee was ended, Chris moved to Railfuture Kent and the National Board and Passenger Group. Chris also worked in the Railway industry and worked as a contractor at the Network Rail headquarter functions in London and Milton Keynes for four years.We look forward to Chris leading us into the new franchise and beyond. Meanwhile, congratulations to James Willis who has been elected as the new Chair for the Medway Valley Line. James has been a member of the partnership for the last three years and was also a Maidstone Borough Councillor for the Heath Ward, working hard to promote sustainable transport. A new Vice Chair will be elected at our next meeting. On Tues 26 Feb we held a smoothie bike pop-up at South East Water’s offices just a 5 min walk from Snodland railway station. This pop-up was arranged to engage staff over the lunch time period to discuss their methods of travel to work. We were warmly welcomed and engagement was relaxed making this a fun and enjoyable event (thank you Zoe). Discussion centered around methods of travel to work and the advantages of active travel i.e. train, cycle and walking. It was found that most staff sampled drove their car to work for reasons of comfort and convenience however, some felt there were a lack of alternatives due to the distance they travelled and the number of public transport changes which would have been necessary would have been too time consuming for their daily commute. Some said they would consider active travel even if it were just in good weather or a couple of times a week – until we try active travel we really don’t appreciate the benefits – could you travel more actively? While Therese was engaging staff at South East Water in active travel, Andy took a group of students from Bradfields travel training. Students had the opportunity to catch the train from Chatham to Strood and then travel along the Medway Valley Line to Tonbridge. The purpose behind the trip was to develop student confidence in using the train and to familiarise them with the journey to Tonbridge Station, where some of the students would travel to in September to attend further education at Hadlow College. 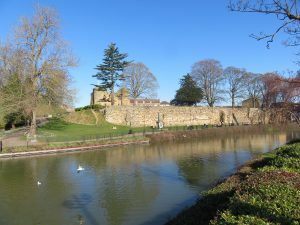 On an unusually beautiful sunny day in February, it was a great opportunity to have lunch in the sunshine by the beautiful Tonbridge Castle. 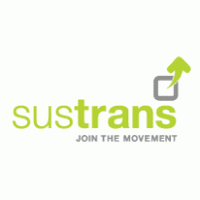 The Kent Community Rail Partnership is hosted by the registered Charity Sustrans. 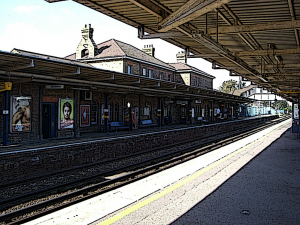 The Kent Community Rail Partnership encourages greater use of the Medway Valley and SwaleRail lines by local people and visitors and aims to improve station environments and facilities on offer.